Carters Domestic Appliances Southwick-Free delivery of appliances to our local customers. Residents in Southwick, Lancing, Shoreham, Steyning will naturally be aware of our store in Southwick, just a short distance from the coast road and the Old Shoreham Road. We are near the Holmbush retail park where Tesco, Marks and Spencer and Next can be found. Carters have many stores in Sussex. 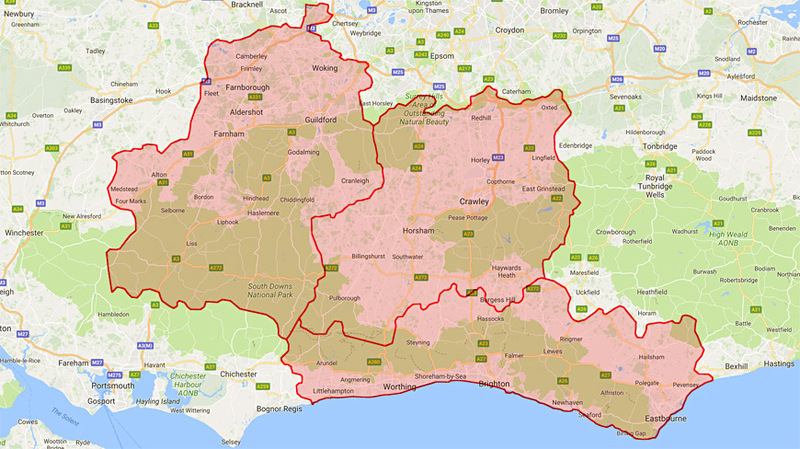 We therefore offer free delivery of goods to many homes in Sussex inside a BN, RH or GU postcode, provided the total order value is £150 or over. We are also able to deliver any appliance to other mainland UK addresses at competitive rates. Perhaps you wish to add an integrated dishwasher / cooker to your existing kitchen in Upper Beeding, or you’re considering buying a washing machine in Lancing or maybe a chest freezer in Southwick. Whatever white goods you have in mind for your kitchen or home, visit one of six Carters independent retailers in East and West Sussex.